As products continue to be manufactured and sold all over the world, the language in which the text is written usually needs to be adjusted as well. 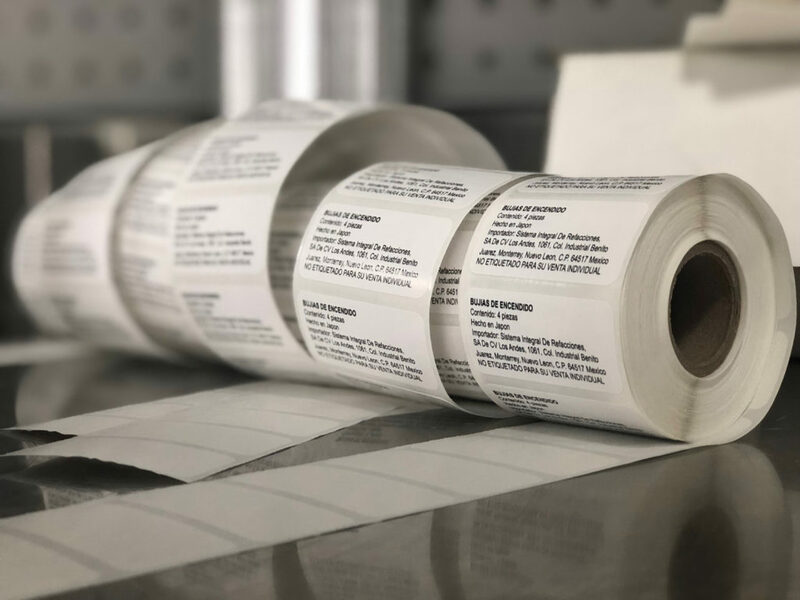 In order to accomplish multiple language labels, flexographic printing would require multiple plates and plate changes, which would increase turnaround time, manufacturing costs, and setup costs. With the efficient Variable Data Printing capability offered by our Durst, we can seamlessly transition from one language to another without stopping or adjusting the printing process. In addition to easily changing the languages, we can ensure that the basic template, design, artwork, etc. will remain consistent. This way, each of your labels will maintain a uniform appearance no matter what language it is printed in. Once the initial printing process is completed, every label undergoes thorough inspection with our advanced Quality Inspection System. Similar to the Durst, our inspection system can easily adjust to language variations. This process results in a finished solution that is precise and reliable. The bottom line: While it might seem complicated, our Durst simplifies the process of printing in multiple languages on the same run along with any other information. Contact us today to get started!